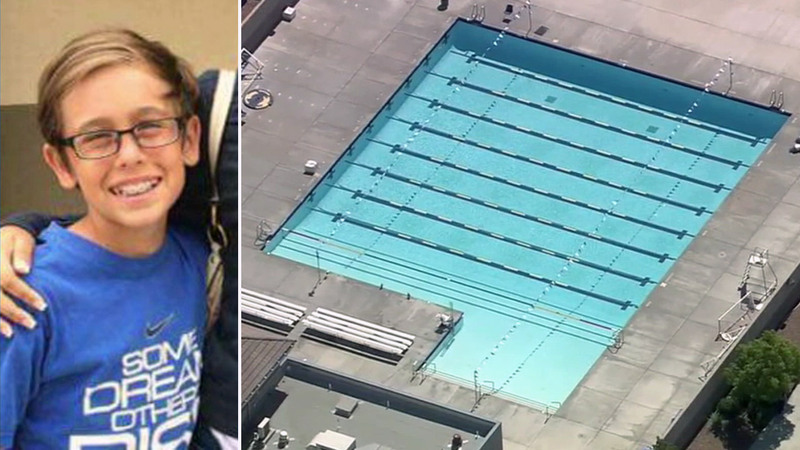 MURRIETA, Calif. (KABC) -- The parents of a 13-year-old boy have filed a lawsuit against the Murrieta Unified School District after the teen drowned at a school swim party. Sabrina and Rodriguez Pierce filed a wrongful death lawsuit against the district after their son Alex, a 7th grader at Dorothy McElhinney Middle School, drowned at a pool party at Vista Murrieta High School on June 3. The school-sponsored pool party was to celebrate the end of the school year for band and choir students. The lawsuit claims that student lifeguards were on duty, but did not attempt to rescue Alex when he slipped under the water and failed to perform CPR on him. Alex was under water for nearly two minutes until fellow students rescued him, according to the lawsuit. At the time of the incident, investigators said the lifeguards on duty were certified to give CPR, but the fire department told ABC7 that CPR had not been performed before they arrived. Alex was rushed to the hospital and placed on life support. He remained in a coma until July 7 when he was officially declared brain dead. "Alex was a smart, happy 13-year-old boy that loved to make anyone around him happy. He had a chance to survive this incident, but was failed so many times by so many people. Not only do we want justice for our son, but we want to prevent this from happening to any other child and family," Sabrina Pierce said in a statement released by her legal team.